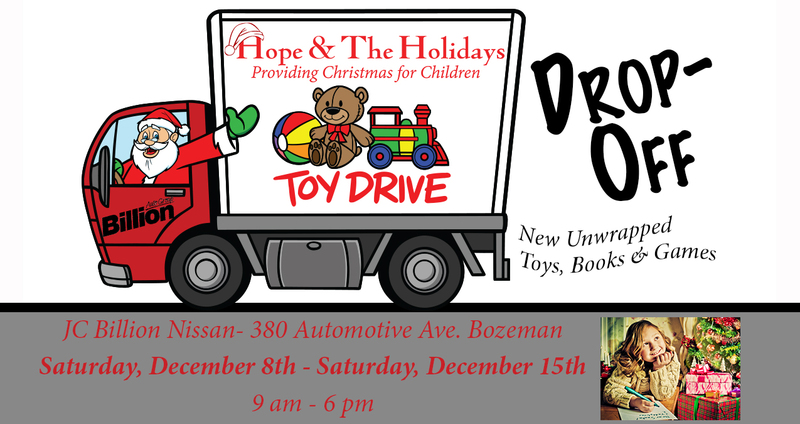 Bring new unwrapped toys, books and games to Billion Auto Group Nissan during business hours Saturday, December 8th to Saturday, December 15th. All the donations go to kids in the area. You can also drop-off at drop boxes throughout the valley. Want to donate money, find a drop box location or volunteer, visit our the Give page.